Commissioned by York City Council. Managed by BEAM. Curated by Judit Bodor. 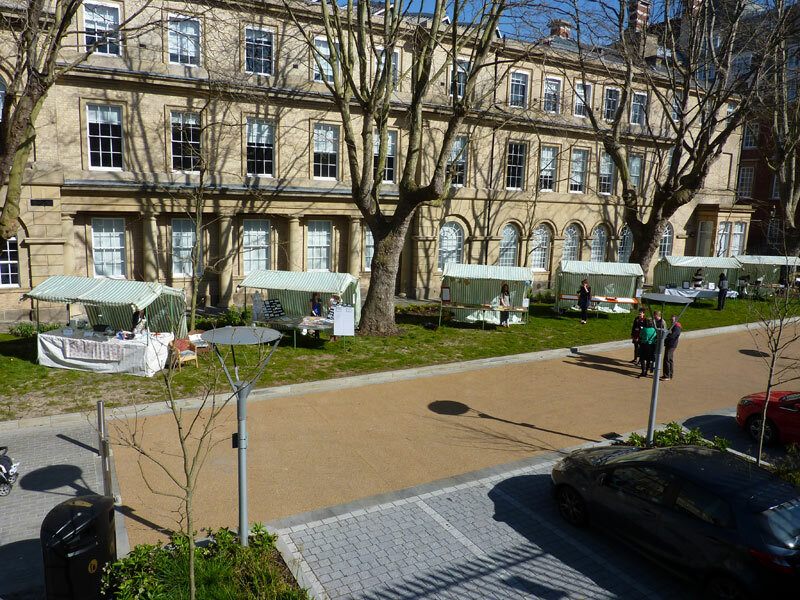 I have always enjoyed market places; they seem to belie the hard profit drenched transactions of the shop or bank, choosing, instead, a sense of an older, perhaps lighter side, of consumption and need. In these early years of the 21st century the word ’market’ has become less associated with places of mobility and transaction and more synonymous with a place of global capital where investments and profits feel way beyond our understandings. These are times when common values are looking in directions away from the haste and greed of our late twentieth century selves towards a state where value is no longer sliding exclusively towards capital and more towards wellbeing and the nature of ideas; an emerging economy in our ever changing cities. The ‘market of Hidden Labours’ is an attempt to make transactions between people and emerging artists and writers from the City of York; a kind of capitol of ideas and expressions as a valued currency of exchange. People visiting the market will see tradition stalls installed in the entrance grounds of the New City council building. They will see, hear and, occasionally receive expressions, objects and thoughts that are part of a rising creative ecology from the city. It is, at one and the same time, an opportunity for creative individuals to talk with people about their work and ideas and for people visiting the market a chance to experience, contribute to and hear ideas from a largely hidden creative community within the city of York. It is a market occupied by a generation of young and emerging creative people making work outside of a civic space; a market that demarks, in part, a bringing of a creative community to the core of an evolving city. 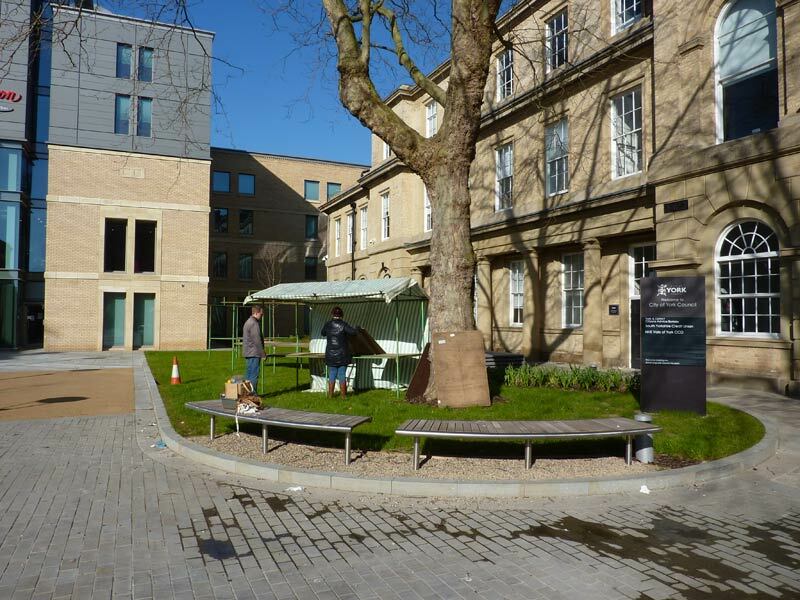 The stalls will be installed in the grounds outside of the newly refurbished West Office building of York City Council. The market is free to all. The hope is that the Market of ideas becomes an annual event for the city creating a contemporary legacy that fuses a relationship between people in York and the ever expanding creative community that the city hosts; it is a market that brings new values to the traditional transactions.